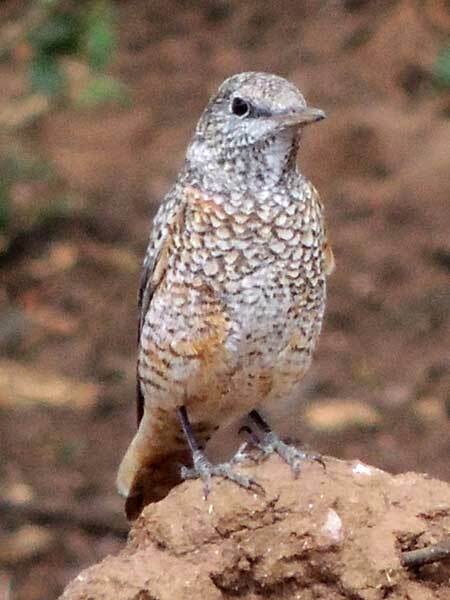 This is a medium-sized but stocky thrush 17–20 cm in length. The summer male is unmistakable, with a blue-grey head, orange underparts and outer tail feathers, dark brown wings and white back. Females and immatures are much less striking, with dark brown scaly upperparts, and paler brown scaly underparts. The outer tail feathers are reddish, like the male. Copyright Michael J. Plagens, page created 21 June 2017.